Father's Day! - I see better from a distance. 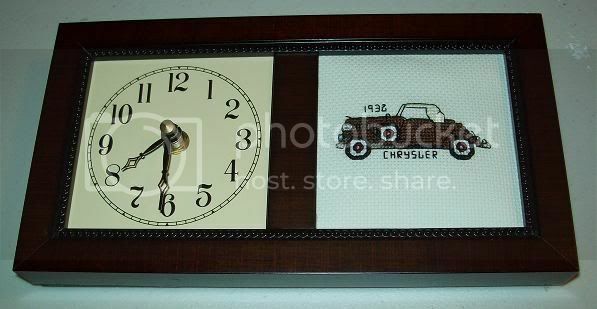 The clock was from a kit Mom gave me for Christmas- I thought a little antique car cross stitch would be perfect. Dad loved it!